Geingob made the call in Windhoek yesterday when he addressed a conference of the African-European party dialogue of socialists and democrats, aimed at overcoming inequality as a political challenge. "I don't know why socialists are quiet. We are not assisting those who want to get their independence. 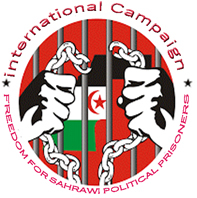 In Europe and Africa, we are not helping them [Western Sahara] to get self-independence. We don't hear [anything] it's only Southern Africa. Why are you quiet?" Geingob asked. The president is hopeful that Europeans and other African nations will follow Namibia's stance to stand up against Morocco's occupation of Western Sahara. Geingob has on many occasions spoken out in support of the right to self-determination of the people of Western Sahara, following similar stern demands by National Assembly Speaker Professor Peter Katjavivi and International Relations Minister Netumbo Nandi-Ndaitwah. In an interview with New Era, Katjivivi echoed Geingob's stance for the global community to stand up and speak out in support of the people of Western Sahara. He revealed that members of the Namibian parliament are due to attend the Interparliamentary Union (Union) Conference in Russia in October, where they will make sure to push the agenda for self-determination for the people of Western Sahara. "All member parliaments are going to be there. We are interested to see that the voice of the people of Western Sahara is heard. There is the danger now that Morocco has been campaigning for and pushing its own agenda and basically trying to undermine the solidarity and support being extended to the people of Western Sahara. We cannot afford to undermine the push for freedom and independence for the people of Western Sahara," Katjavivi told New Era yesterday.He explained it is in that context that he welcomed Geingob's stance in reminding the world that the question of Western Sahara and Palestine is still outstanding. "This in our view is unfinished business that the international community must address so that they too can gain their sovereignty. I really want to see delegates pushing that agenda," Katjivivi noted. Geingob said Namibia has a longstanding history in its relationship with European progressive movements. During Namibia's struggle for independence, he said, many organisations across Western Europe and Scandinavia stood in solidarity with Namibians in their struggle against apartheid South Africa. He explained that they offered material and diplomatic support which helped shed light on Namibia's plight to many people in Europe, leading to a groundswell of public support for the abolishment of apartheid and the independence of Namibia. "The years of Africa's struggle against colonial rule were tumultuous. The world was in a state of geo-political flux, caught between two superpowers engaged in an economic, military and ideological tug of war. The bipolar environment led to a situation in which several proxy wars ignited across the world and Africa found itself caught in the middle of this ideological impasse."